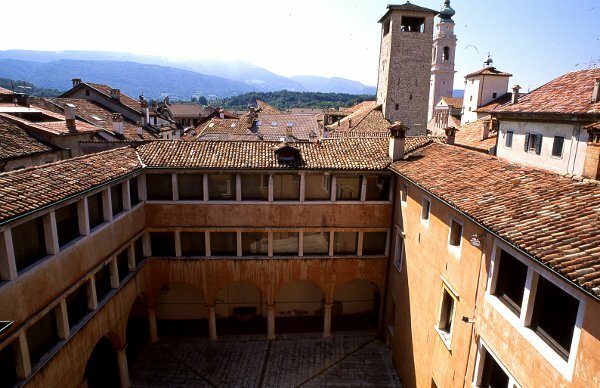 16th century building by Niccolò Crepadoni, uniting a series of pre-existing buildings. The roof-deck is built on the basis of one of the old towers. The remains of the original frescoes can be seen on the ground and first floors. In the internal portico there is the Roman sarcophagus of C. Flavio Ostilio Sertoriano and his wife Domizia. Found in 1480 it dates from the 3rd century.